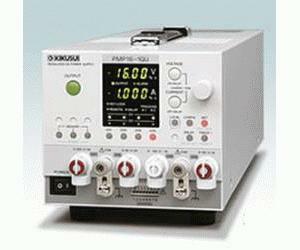 The small-size PMP Series is a DC power supply that supports simple functions and provides constant multi-output voltage (CV) and current (CC). The PMP Series supports "Multi-channel Tracking" that allows all types of output to be varied concurrently. It also provides a "Delay Function" that can change output on/off timing, and a "Memory Function" that can store output settings.